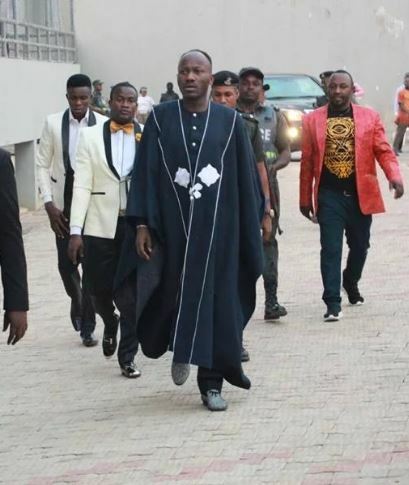 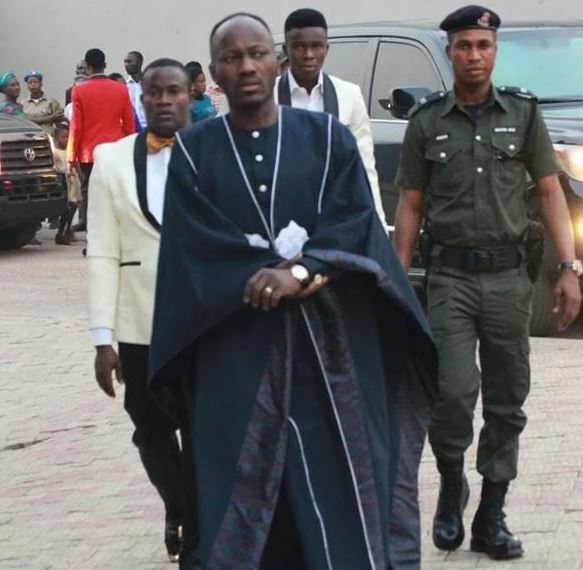 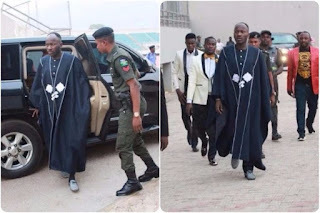 Founder and senior pastor of omega Fire ministry, Apostle Suleman got more than he bargain for after he stepped out in the replica of Ebuka’s Agbada to a church event in Lokoja fully surrounded by police escorts. 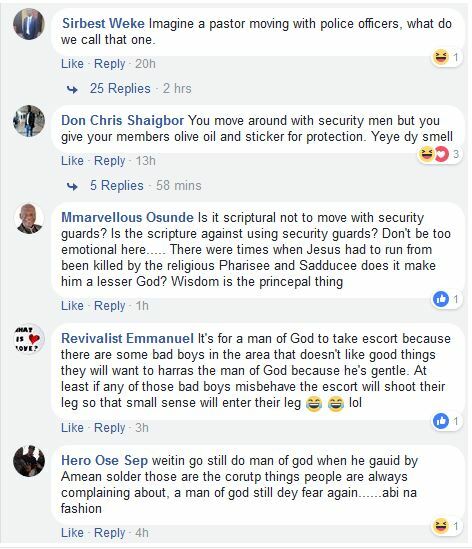 On seeing this, shallow minded online critics we perceive as haters took turns to counter-slam him for allowing police operatives to safeguard him rather than the Holy Spirit while others argued that his own security is very necessary and nothing is wrong with that. 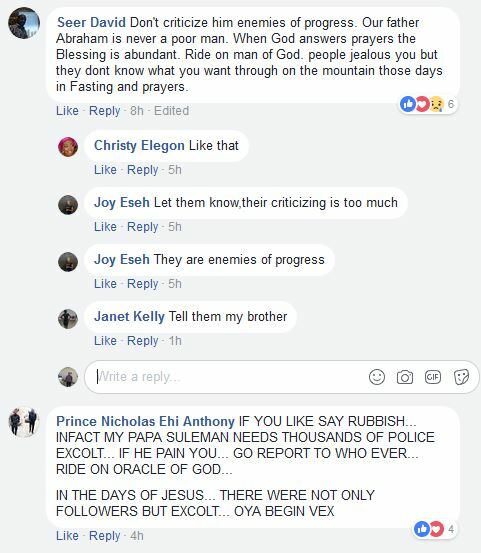 What's your take on this issue? 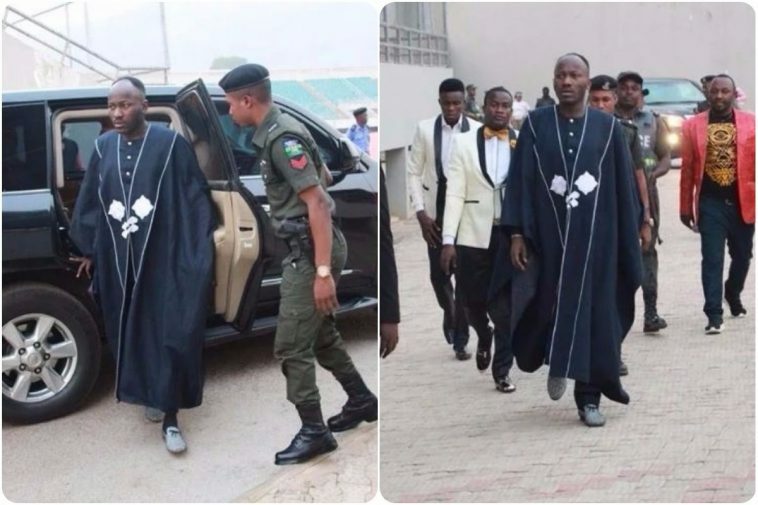 Is it right for a man of God to move around with police escorts?